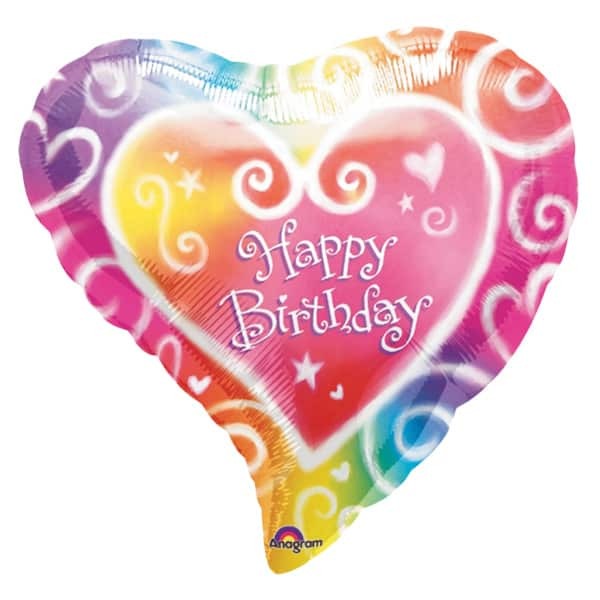 Multi-Colour Heart Shape Foil Birthday Balloon Sold Single. Size: 18 Inch(46cm). Material: Foil. Shape: Heart. Requires Helium Gas Inflation.